If you’re tired of Turkey and tinsel and bored waiting for the January sales to start then this is a fantastic opportunity to attend a certified FA Coach CPD event run by Surrey’s top coaches. Session planning for the individual player and the team. Most teams have a range of player ‘types’. So coaches are constantly experience the challenge of how best to plan sessions to get the maximum benefit for the team and each player type within the team. How do you approach this? The aim of this event is to give you the ‘tools’ and “ideas” to help your session design. We want you to be confident using simple techniques on how you can target your sessions to meet the needs of your individual players as well as the team. You will be shown how to support a range of learners in your session and take away ideas on how you can stretch and challenge every players no matter how they differ in ability. What techniques do you use to improve the effort of each of your players at training? What techniques can you deploy to fully engage players at training as well as match days? 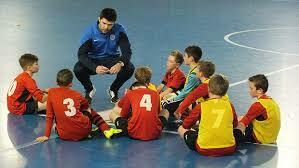 Are your session plans designed to support the learning of all players? How can the team training be linked to individual players learning? 9:15am: Registration. Tea/Coffee and Networking. 12:15 Round up & what you want next time?